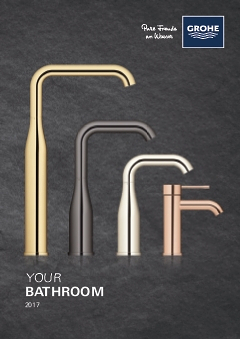 Relexa Rustic is an effortless blend of traditional styling and the latest GROHE engineering. Perfect for an Authentic bathroom scheme, its softly fluted design is enhanced by the immaculate GROHE StarLight® chrome finish. The authentic-style hand shower – powered by GROHE DreamSpray® technology, for even water distribution across all of the shower jets – is complemented by a matching head shower for effortless coordination in the shower.